You can learn how to change your aura colors, but it will take work. If you're willing to do the work, then you can achieve an auric field color change. The first thing to prepare is your body to receive the amazing energy needed to alter your aura color. Practice a once-a-week ritual cleansing bath using salt (Himalayan crystal salt or sea salt) or use baking soda or bicarbonate of soda. You can use white sage incense to cleanse your aura by fanning the smoke over your body. Clear and reprogram crystals to cleanse your aura. Hold the crystal(s) during meditation. Cleanse your chakra centers using one of several methods, such as tapping, reiki, mantras, or yoga. A reiki master or other energy worker can assist you in opening and cleansing your chakras. You need to focus on optimum health; this includes a healthy diet, exercise program, and rest/relaxation. It's difficult to break old habits. Start with something small, such as cutting sugar from your diet, adding a 10-minute walk to your daily activities, and making sure you get adequate sleep. You can build from these starting points and gradually achieve the healthy lifestyle needed to sustain the influx of energy required to raise your frequency and change your aura colors. The most important step for changing your aura color is to establish and strengthen your connection to the universal spiritual energy. This energy force governs all life. The Chinese call this energy chi while various religions reference it as God. Regardless your belief system, when you connect with this energy, you receive all the powerful benefits. Start with a short meditation and gradually build the length of time. Begin a daily meditation. Set your practice to a routine for the same time each day. Add a yoga daily practice once your meditation practice is established. Participate in religious worshipping and group activities that strengthen your connection with divinity. Depending on your religious beliefs, read daily devotionals and other faith reinforcing books and material. Select a handful of positive mantras and repeat multiple times daily. You can create a routine practice using daily visualization techniques to visualize your ideal auric field color. Train yourself to think positive. Whenever you have a negative thought, counter it with three positive ones. Eventually you will find your thinking pattern has altered to that of positive thoughts. Once you've achieved all the previous steps, it's time to program your aura color. 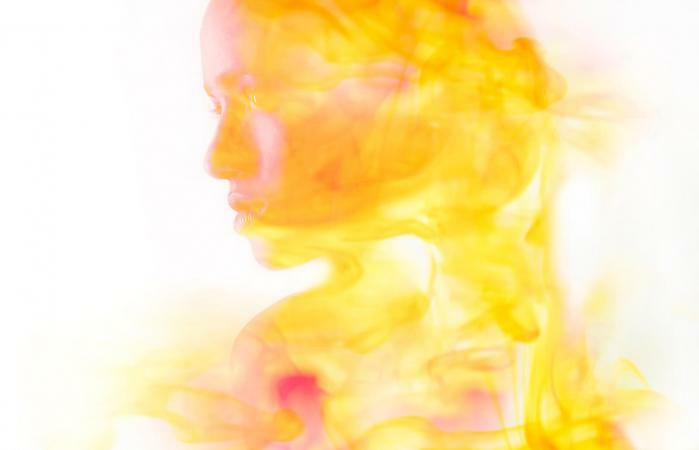 You can program your aura color through meditation. Focus on the color(s) you want to replace the current aura color. Wear the color you want for your aura as often as possible. Paint the room where you meditate the aura color you desire. Hold a mental picture of the aura color you want during meditation. If the aura color matches one of the charka colors, focus your attention this energy center and what it controls. Make sure that there are no underlying medical issues that are the cause of your dark aura color. A psychic attack can discolor your aura. There are techniques you can use to protect yourself from psychic attacks. If neither of these are the cause of your dark aura, you need to examine your emotional nature. You may need to forgive and let go of emotional trauma. It is possible to change your aura color, but it will require extensive work on your part. You will discover many things during this process that will be beneficial to your quality of life. If you follow these steps in earnest, the aura color change will be long-lasting.